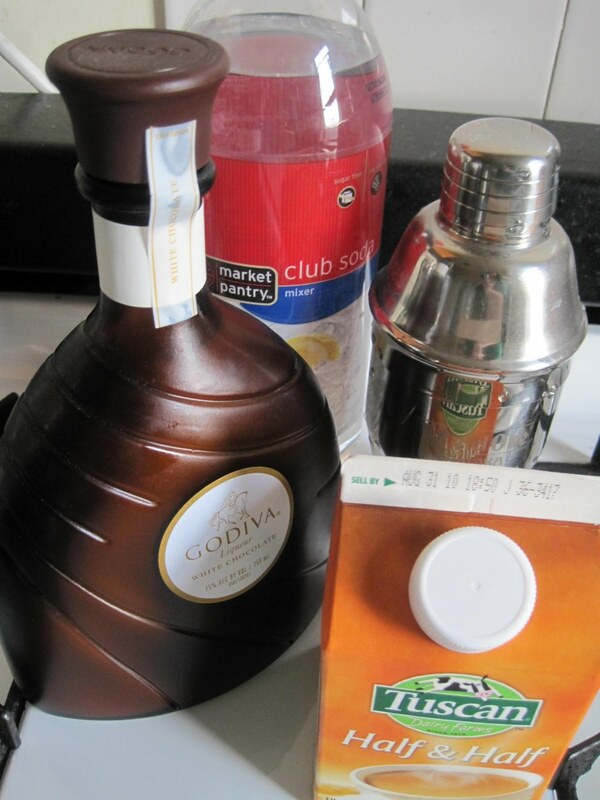 This is another simple but fabulous taste: Godiva, soda water, and half and half. Oooh baby. 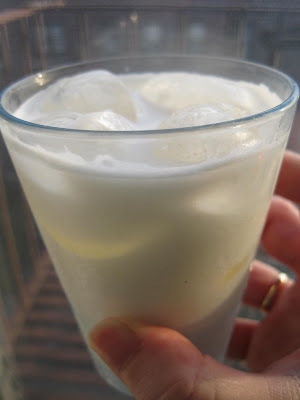 Pour the liqueur and the half-and-half into an ice-filled shaker, shake about 15 seconds, pour over ice in small glass. Add hefty splash of soda water on top. Cheers! 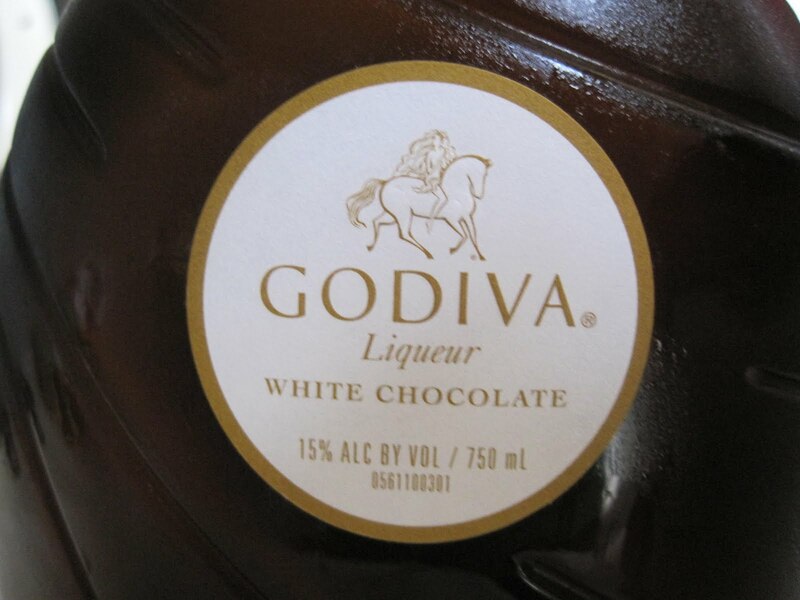 I'm not normally a white chocolate person, but I make an exception for this liqueur. of course, it's even better with regular chocolate liqueur, and also delicious when you mix the white and the regular chocolate!